Brian was born into a musical family in the strange, beautiful, semi-isolated, and green-chile-saturated city of Albuquerque, New Mexico. Originally inspired by music from childhood cartoons and video games, he soon developed a fascination for rock, pop, jazz, and funk music by the likes of the Police, Parliament/Funkadelic, Weather Report, and Herbie Hancock. By high school he was playing bass in rock bands, piano and saxophone in jazz and funk bands, and clarinet in the Albuquerque Youth Symphony. While attending the University of North Texas College of Music jazz studies program, Brian recorded and toured internationally with the Grammy-nominated One O’Clock Lab Band and won Down Beat Magazine awards as a soloist and band leader. He developed friendships with the UNT community that would eventually evolve into the Grammy-winning group Snarky Puppy while also working with prominent members of the Dallas music scene: Robert “Sput” Searight (Snoop Dogg/Kendrick Lamar), Bernard Wright (Miles Davis/Roberta Flack/Wayne Shorter), Shaun Martin (Kirk Franklin/Kim Burrell), TaRon Lockett (Erykah Badu/Funk Apostles), Wes Stephenson (The Funky Knuckles), and Bobby Sparks (Prince/Roy Hargrove/Marcus Miller), among many more. After composing music for and performing on three Snarky Puppy albums, Brian moved from Dallas to Austin and spent several years as a touring and session musician while forming and developing his own group, Progger, who record for Ropeadope Records and have released four critically-acclaimed albums. Bouncing back and forth between New York and Austin since 2013, Brian has led numerous Progger tours while composing and producing music for national television networks (Bravo, MTV), national podcasts (Longreads), and talented independent artists (Kimberly Townsend). 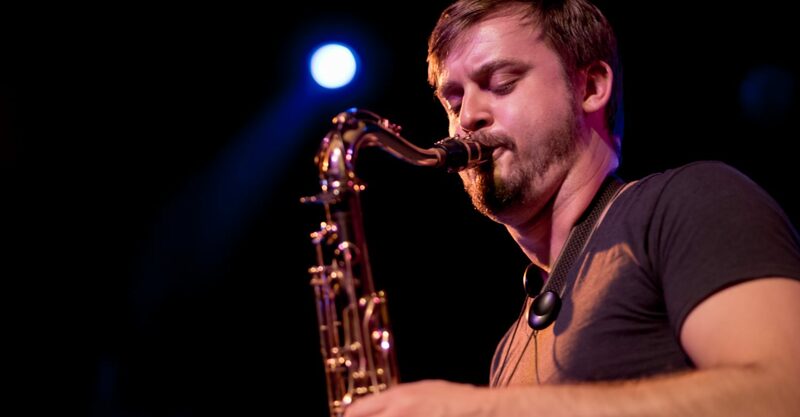 In addition to Progger and Snarky Puppy, Brian has performed and recorded with indie icons like Okkervil River and Nelo, modern jazz heroes like Bill Laurance, The ClubCasa Chamber Orchestra, and The MK Groove Orchestra, and jazz legends like Phil Woods, Benny Golson, Pete Christlieb, Bill Holman, and Jason Marsalis. Brian is highly sought-after as a session musician, arranger, composer, and producer, and he writes nonstop from his home studio in Austin, where he lives with his amazing wife.